During the course of our experience managing LinkedIn Campaigns, we've discovered some best practices that we feel our community can benefit from. That's why we've created this guide filled with tips and tricks we've learned the hard way! By following these guidelines, you'll be empowered to hyper-target the decision makers within your target industry - thereby reducing unnecessary noise and running optimized campaigns with valuable results. Everything begins and ends with the Search URL. That's why it's important to have patience, and do the necessary review of your Search Results before running each campaign. 90% of our clients use Sales Navigator which we think is a great investment - especially with automation. It allows you to refine your searches and reach many more people within your target audience. This allows you to find the decision-makers faster, so you don't waste time on irrelevant leads. Also, please keep in mind: LinkedIn is much less likely to detect automation with a Sales Navigator account. With free accounts, we've found that LinkedIn can raise flags and restrictions which can be damaging for your account and for your bottom-line results. If you're serious about getting great results with Growth-X, please use Sales Navigator. 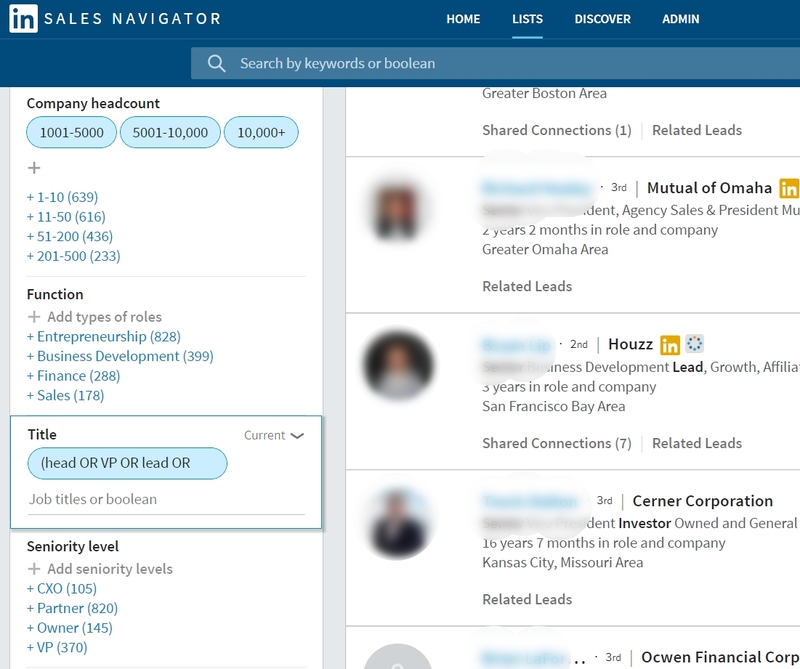 We've noticed that some clients base their entire Search on the Main Search Field located at the top-left corner of Basic LinkedIn or Sales Navigator search pages. 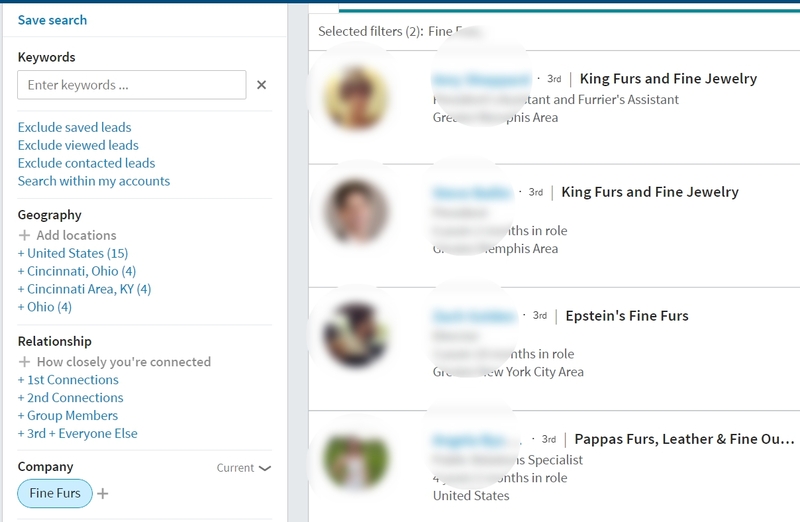 The tragic flaw is that the Keywords Box searches the entire LinkedIn profile. Therefore, even people that have the words collaborated with Director of Devops - from a position 10 years ago - will still appear within these search results. This doesn't mean not to use the Keywords filter at all. This filter can be used in conjunction with the more targeted filters. This brings us to Tip #3. Once you've defined your audience, visit page 10 and 15 of your search results in order to verify that the audience is still relevant even on the later pages of results. If you have a very fine-grained audience that you're dying to target, feel free to check out our article on Advanced Boolean Searching. There's a little known LinkedIn restriction - no matter what your Search URL is, LinkedIn won't allow you to access more than 1,000 people per Search URL. Meaning, even if your search provides 40,000 results, LinkedIn will only allow you to view the first 1,000. Therefore, when creating a Growth-X campaign, we recommend a Search URL with no more than 1.5K search results. 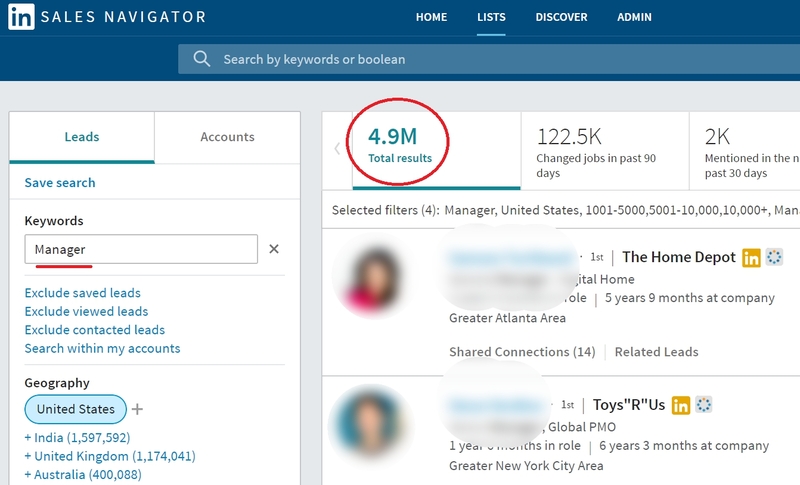 Aside from the limitation on LinkedIn's end, we believe that if you create a campaign with 5 million results, you're simply not being specific enough. If you want LinkedIn to target people that have the exact words "Electrical Engineer" in their title - and in that order, with no words in between, then use double quotes. This is true for every filter. As another example, if you're searching for a company called "Fine Furs", don't type the words Fine Furs without quotation marks. Otherwise, you'll get companies that have the words "Fine" and "Furs" anywhere in the company name. There's really no nice way to say it, so we're not going to try to sugar-coat this principle. How would you feel if you got an invite message like this? You can imagine that we've seen a lot of campaigns running - and we've seen the content which works, and content which doesn't work. We've even written a separate article on this point - so you can tell how serious we are about it. In short, we understand the temptation to sell in the invite, but please wait for the followup in order to avoid getting blocked or flagged. Assuming that you've followed our above suggestions, you should be running campaigns on highly-targeted segments of professionals. 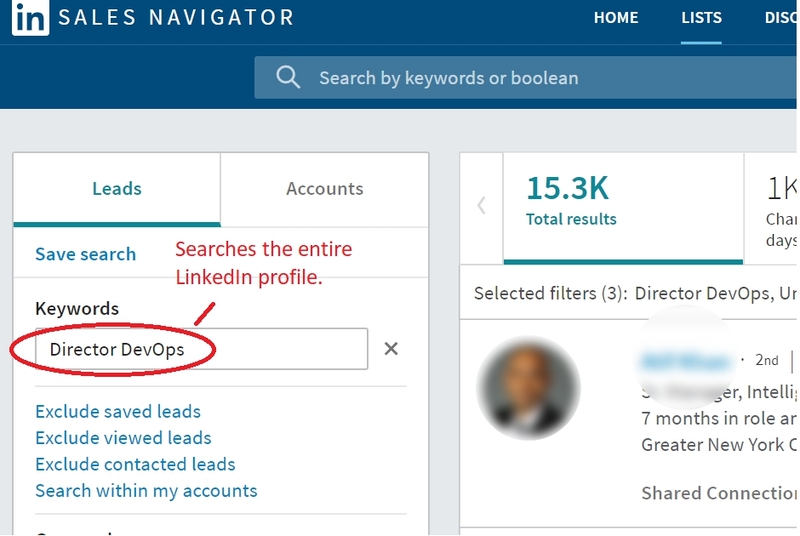 By refining your search properly, we can then create an Invite and Followup Message that say something like: "As a Devops Leader...." - in this way, the person feels that you really took the time to analyze their profile, and send them a customized message. As you can see everything begins and ends with the Search URL. If you'd like to try out a content approach that we think works great, check out our Ask-For-Help Approach. A quick note about Growth-X - you're going to be generating a lot of leads with it. Therefore, no matter which LinkedIn profile you're using, it's helpful if you assign a member of your team to handle the incoming chats with your target audience. One common mistake we've found is clients using brand new LinkedIn users for their LinkedIn campaigns. From our experience, we've found that if you've created your LinkedIn account recently then you shouldn't use automation at all. That being said, if your user is more than a year old, or has over 500 connections, then you're good to go. It's important to start each campaign with a targeted Search URL and then continuing tweaking the campaign messages to achieve higher conversion and response rates. Analyzing your campaign performance will allow you to constantly optimize. Feel free to reach us at help@growth-x.com or via the in-app messenger tool. We're always happy to help and hope this guide will help you generate valuable conversations with professionals in your target audience.